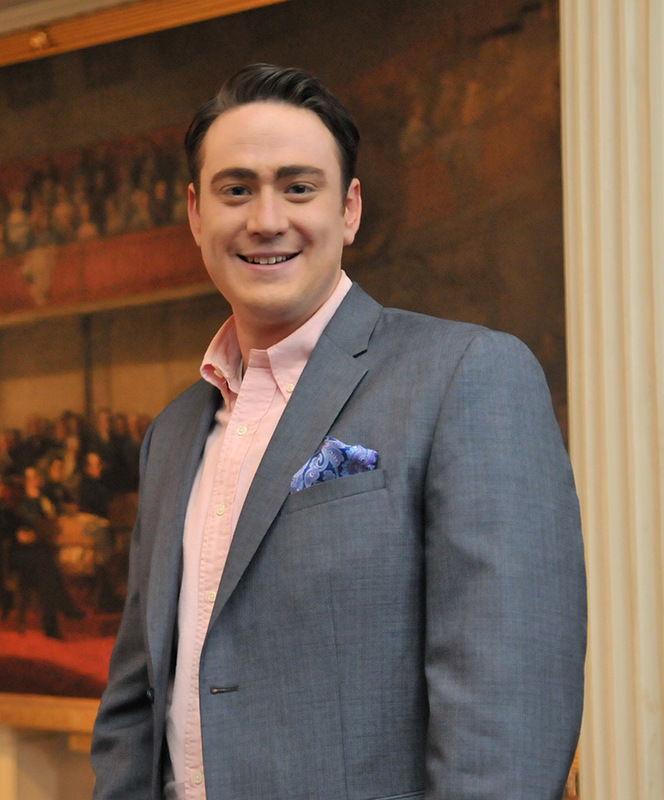 D. Joshua Taylor, MA, MLS is a nationally known and recognized speaker and author on genealogy and family history. Passionate about the diverse and dynamic field of genealogy, Joshua is the President of the New York Genealogical & Biographical Society (NYG&B). He also served the genealogical community as the President of the Federation of Genealogical Societies (FGS) from 2013-2016 and has been a member of the FGS Board of Directors since 2007. In 2017, Joshua was named as one of Library Journal's Movers and Shakers. Washington, DC. Our nation’s capital. Nearly every family history enthusiast dreams of researching in this great city. Among the Washington Monument, the great and stately Abraham Lincoln, the memorials to thousands of veterans who fought so bravely, lie millions upon millions of stories. Spread throughout the routine documentation of its time are the stories of our ancestors, held in the collections of the National Museum of African American History and Culture, the Library of Congress, and the United States Holocaust Memorial and Museum. This is our city; these are our stories. We welcome you to our Washington, DC. 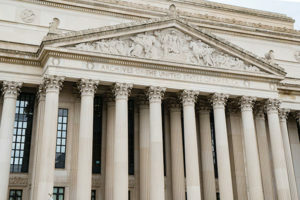 This year’s conference program brings you four full days of inclusive topics—many brand new—presented by the nation’s top family history experts and specialists from local resources such as the National Archives, Library of Congress, DAR Library, Bureau of Land Management, and more. Sessions are aimed at strengthening your research skills regardless of your level or area of expertise. A variety of tracks fill the program. America’s Resources, Mid-Atlantic Region, The Tapestry of America, and In America’s Service tracks appear each day, Wednesday through Saturday, along with a wide variety of others including Circle the Globe, Colonial History & Settlement, Social & Cultural Community, Women’s Studies, and much more. Want to dive into DNA? Three tracks cover DNA foundations, methods, and practice. New this year are “In a Flash” mini-sessions Thursday-Saturday covering fascinating topics such as the University of Maryland’s Global Journeys project, still pictures at the National Archives, Baltimore’s enslaved Catholics, and finding speakers for your society’s events. Three traditional hands-on two-hour workshops are available: Transcription & Record Analysis: Extracting Data from Handwritten Materials; Creating Accessible Digital Content for Your Members, Researchers, and Clients; and Save Your Family Story: Write Your Family History. 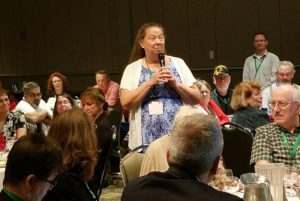 Ten luncheons provide opportunities to network with fellow genealogists and enjoy lighter presentations from entertaining speakers or to hear about the latest genealogy innovations from sponsoring organizations. Everyone is welcome to purchase tickets to any sponsored luncheon. However, space is limited and luncheons do sell out, so be sure to register early for the ones you want to attend. Because FGS is the umbrella organization for genealogical societies, the program naturally focuses on the needs of societies. In past FGS conferences, Wednesday was set aside as “society day,” but this 2019 conference brings a focus on societies throughout the week with a full Society Management track on Thursday, Friday, and Saturday, and daily sessions related to societies sprinkled throughout the week. You don’t have to be a society officer to attend or benefit from these great sessions. For example, Volunteer Management: A Deep Dive Into Managing and Retaining Volunteers offers tools that also assist in planning your next family reunion, as does Using Surveys: A Quick Guide to Asking the Right Questions. Join the FGS board and fellow society leaders for the Focus on Societies Dinner and FGS Annual Meeting for an opportunity to network with peers and participate in the ever-popular “Society Shout-Out” when folks share the exciting projects and activities their societies have in the works. For full details, check out the full conference schedule online or download the conference brochure (coming soon).